I wanted to make my editing reel like a trailer with a hint of personal flair so that the people I send this to for job applications can better connect with my abilities. Mark Woollen & Associates creates major motion picture trailers for the movie industry. Responsibilities include ingestion of media, syncing picture and audio, posting to Wiredrive or FTP, over-cutting picture and audio, prepping AAF's and EDL's for finish. I edited a short film called Pink Jacket. 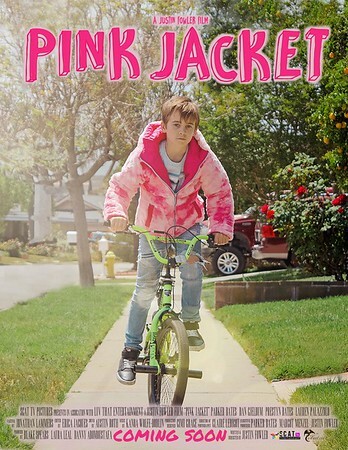 Logline: When Tommy, 10, starts to wear a girl's pink jacket, it reveals the true colors of everyone around him. I edited a short film called Commitment Issues. Logline: Josh's positive outlook on love turns cold after many girls' father issues ruin their relationships. Code Yellow is available to watch on Amazon Prime Video. Code Yellow is a documentary about the highly endangered Yellow-Eyed penguin, a species endemic to New Zealand. This film tries to uncover the reasons why they are moving toward extinction and expose the reality of their hardships on land. It shows the grim reality of their plight from the various perspectives of professional doctors, scientists, and caretakers who devote their time and energy to save this beautiful bird. I did a promotional video for Santa Paula Trading Company, which is a trendy new clothing store that's in Santa Paula, California. I edited a teaser trailer for an upcoming short film called Perter and the Wolf. Peter and the Wolf is about a defective clone that falls from space and is tested by savages in a hope to find what it means to be in control of ones own destiny. I edited a YouTube pilot for Validus Productions called Hank and Daryl vs. the Illuminati. The story sets out to uncover the truth about a moon conspiracy, but what Hank and Daryl find exceeds their own wild imaginations.